Many RVs on the market today provide a means to do a vast range of activities with a great deal of personal comfort and flexibility. A lot of RVers who spend a lot of time on the road RVing are over 50 years-old. However, that demographic has been changing. More and more young couples and families are getting into the RV lifestyle, enjoying a lot more exploring, venturing to new destinations and taking in their favorite outdoor activities. In part, we bought our motorhome with the vision that our kids, who are in their 20s and 30s would use it as well to chase after their outdoor interests. While we were spending a few weeks visiting family in Southern California and touring with old college buddies in Arizona, our kids were spending time at The Burning Man Festival in Nevada and various other events. They were using our rig to host their best friends, all pitching tents around them. An RV is a great means as it allows you the flexibility to enjoy life at most any pace. The only way an RV (or most anything else for that matter) makes for a good investment is if you use it a lot. Fortunately, many RVs on the market today provide a means to do a vast range of activities with a great deal of personal comfort and flexibility. An RV is great for tailgating at the big game, to serve as a mini convention center to meet with a bunch of buddies for a small reunion, or a chance to spend your summer exploring the Lewis and Clark trail. I like to use mine as a fishing lodge. Later on this month, I’ll be meeting with five of my old friends to do some shad fishing near Portland, OR. 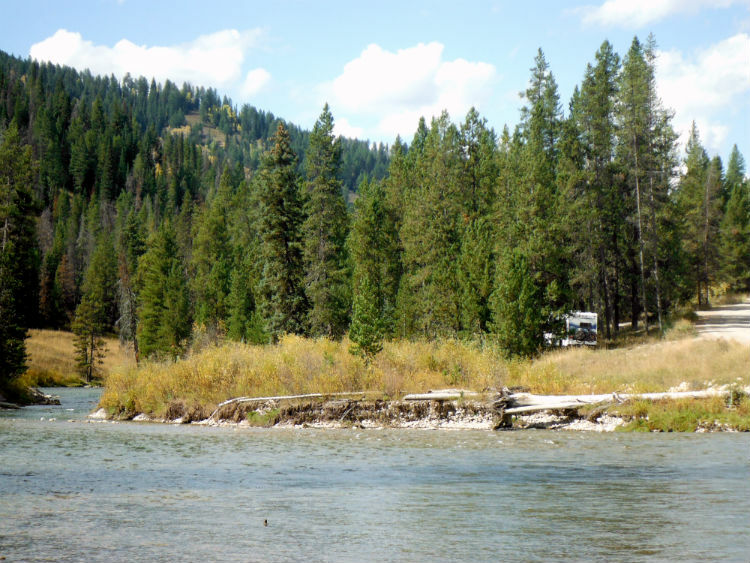 We will set up our motorhome in a lot right on the river, serve meals, snacks, and set up fish canning right on the site. Everything we need to enjoy all kinds of activities is right there and we can watch part of the Triple Crown Races when the fishing slows. 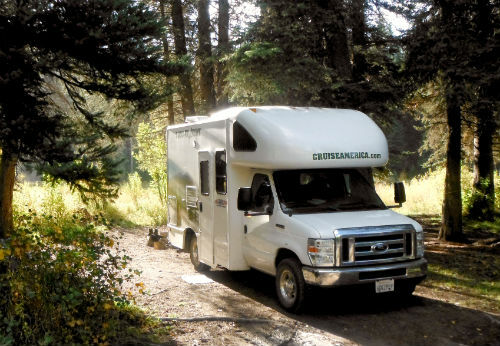 A friend of mine, Tom Scoggins, rented a motorhome last summer to go on his “vision quest” to catch a bunch of different varieties of cutthroat trout. He planned his trip through Idaho, Washington and Montana, packed up his RV and spent a couple of weeks on his quest. This made the camping comfortable, and his 19-foot motorhome was way better than tent camping (plus, I don’t he was going to talk his wife into doing that). With his whole family along for the trip, he was in no hurry to get home. Settled in at one of our recent camps. The rig was small enough to set up on most any turnaround on the road and with the exception of a few four wheel drive roads, he was able to drive to all the “secret holes” he was hoping to find. The trip turned out great and he caught a lot of fish. His wife enjoyed reading and touring, and his dog was overjoyed to go exploring with Tom. The storage space on his rig was ample enough for all of his fishing gear as well, which also allowed him to bring his “belly boat” and other equipment, which would allow him to get out on lakes. 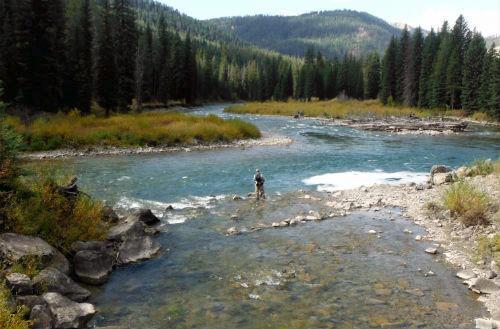 Just as some of us like to fish by settling in at one place, casting out, and enjoying the day, others like to hike up and down the river or stream, covering a lot of territory and being much more active. An RV is great as it allows you to do both. Set down roots or float with the breeze – whatever you pleasure – as an RV allows you the flexibility to enjoy life at most any pace.